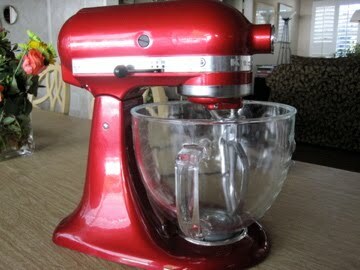 I am now the proud owner of a Candy Apple Red 90th Anniversary Kitchen Aid Standing Mixer with a glass bowl. Beautiful. This is my baby. I had to make SOMETHING immediately after I brought my baby home. First, I made tart dough. Then I stuck that in the freezer to use later in the week. 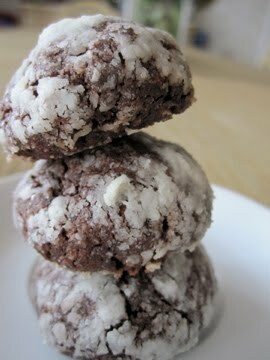 Then I made these chocolate crackle cookies from Alice Waters’ The Art of Simple Food. Ok, so at first, I was not happy with the outcome of these cookies; they were super cute but I felt like they were lacking something in taste, and I could not pinpoint what it was. At first, I thought maybe they were too rich?…or maybe the ground almonds, which my cousin mistook for coconut, gave these cookies a funky texture? I mean, these cute little guys are made with only good things—dark chocolate, cognac (a variety of brandy), ground almonds…and they only have 3 tablespoons of butter! But, sadly, I was not that impressed. They are not necessarily bad, but I thought they were nothing worth swooning over. Really guys? Ok fine, I’ll give them another taste. 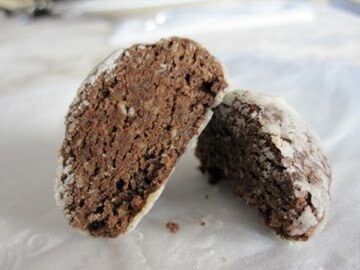 As I bit into a 4-day-old chocolate crackle cookie, yes, holy heck, these were sooooo yummy! My friends were right, these DO taste like a little truffle cake bite! A few days ago, I thought they were too rich. Now, I think they could be even richer! I guess these cookies/petit fours/truffle bites taste better as they age. Make them, taste them, let them sit a few days, taste them again. Really, you will taste a difference! I think next time I make these, I will futz with the recipe a bit…I definitely think that a few pinches of salt and some vanilla extract will benefit, as well as a bit of good quality cocoa powder. Adding in some coffee or experimenting with another kind of extract (mint…?) might be fun, too! Also, maybe next time I might nix the ground almonds and just use more flour? This is the beauty (or for some people, the stressor) about cooking and baking–nothing is ever constant! 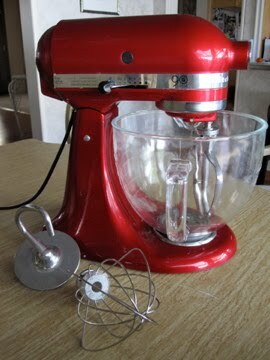 Continue whisking until the mixture forms a ribbon, about 5-7 minutes. Stir in the melted chocolate and the almond and flour mixture. Chill the dough in the refrigerator for 1 to 2 hours or until firm (I just chilled mine overnight). Roll the cookie dough into 1-inch balls. 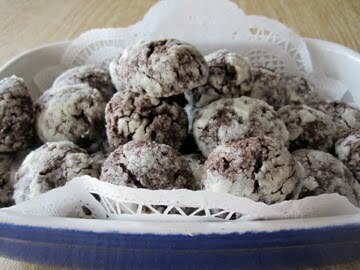 Roll a few at a time in the granulated sugar to coat them, then roll them in the powdered sugar. Set them on parchment-lined baking sheets 1 inch apart. Bake for 12-15 minutes. Midway through baking, rotate the baking sheets for even baking. When the cookies are done they will have cracks in their white shells and they will be firm on the edges, but still soft in the center. Do not overbake. >Wow, thanks Emily! 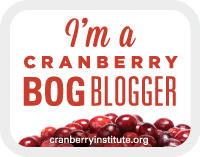 I say you splurge and get one, it will make your life infinitely times better!